Revd. Peter Hodgson (1978-1980). Ecumenical Project Working Party co-chair, and Vicar. Revd. Maurice Leeming (1980-1990). 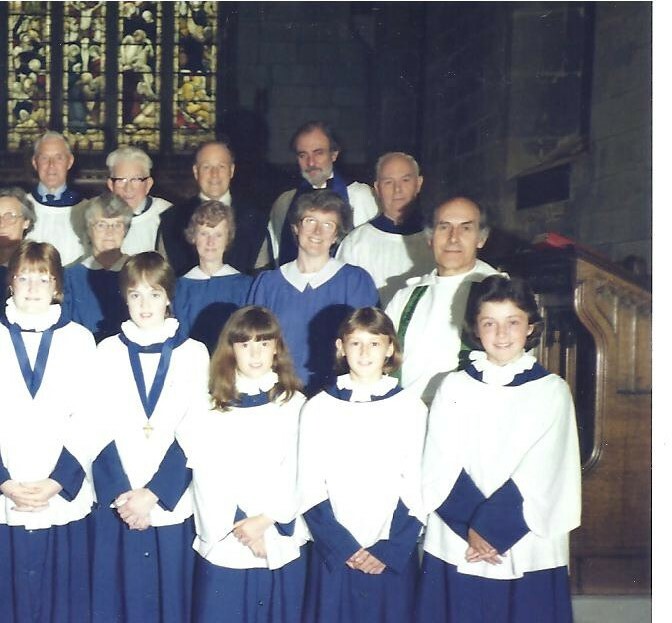 Photograph taken in mid-1980s with the Choir at St. Mary’s Bolsterstone.